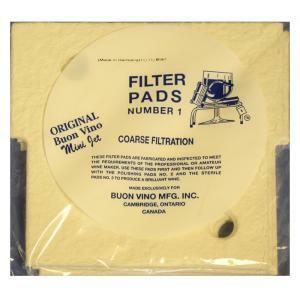 Buon Vino Mini Jet Filter Pad #1. 5 Micron Coarse Filtration. 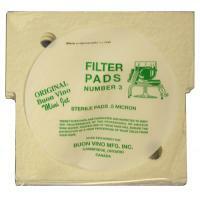 These filter pads are fabricated and inspected to meet the requirements of the professional or amateur wine maker. 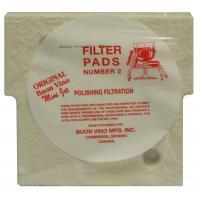 Use these pads first and then follow up with the polishing pads #2 and the sterile pads #3 to produce a brilliant wine. 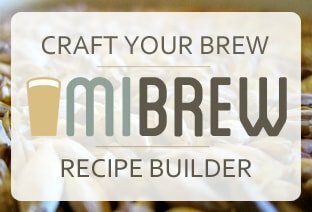 Made exclusively for Buon Vino Manufacturing. 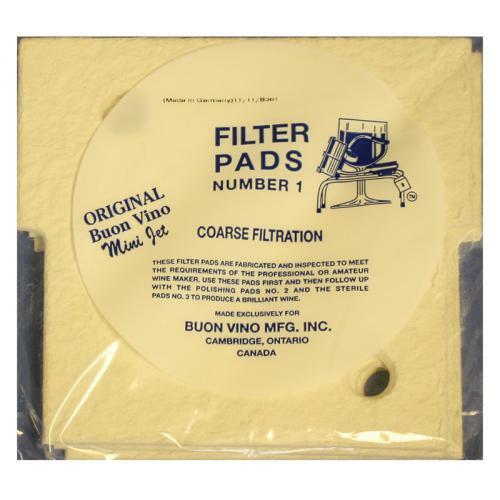 Set of 3 pads.